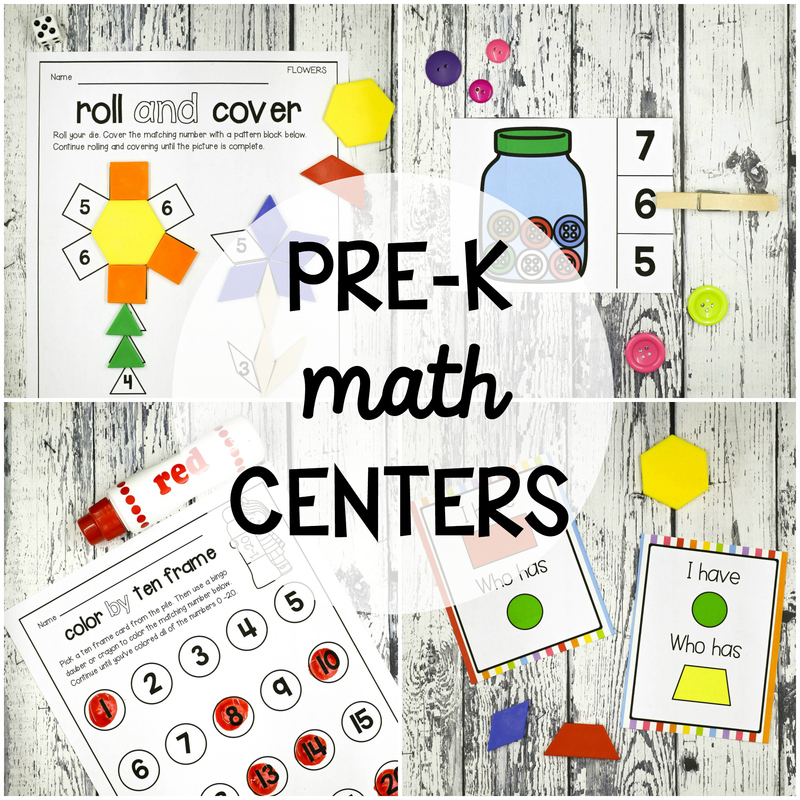 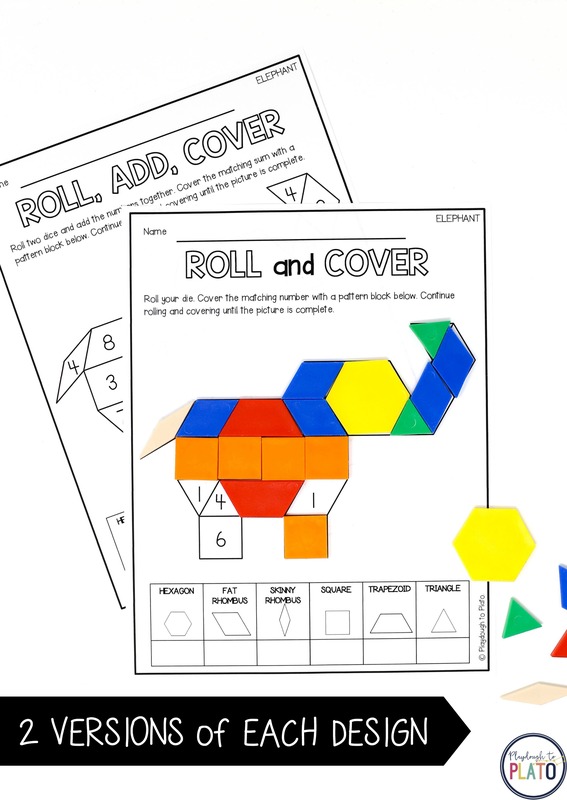 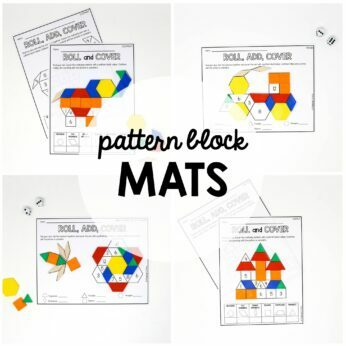 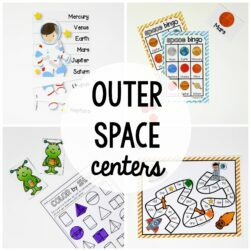 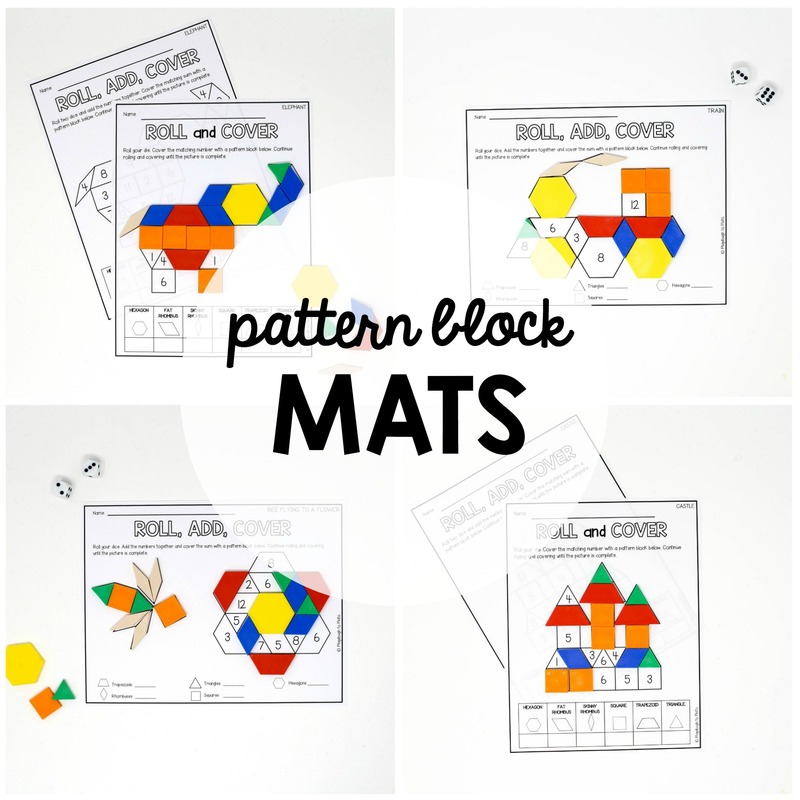 These roll and cover pattern block mats are packed with serious math power! 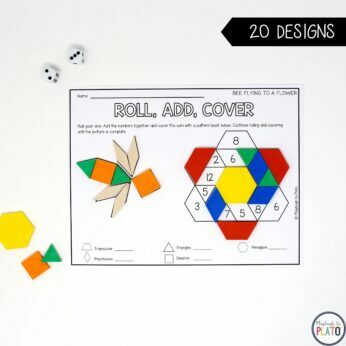 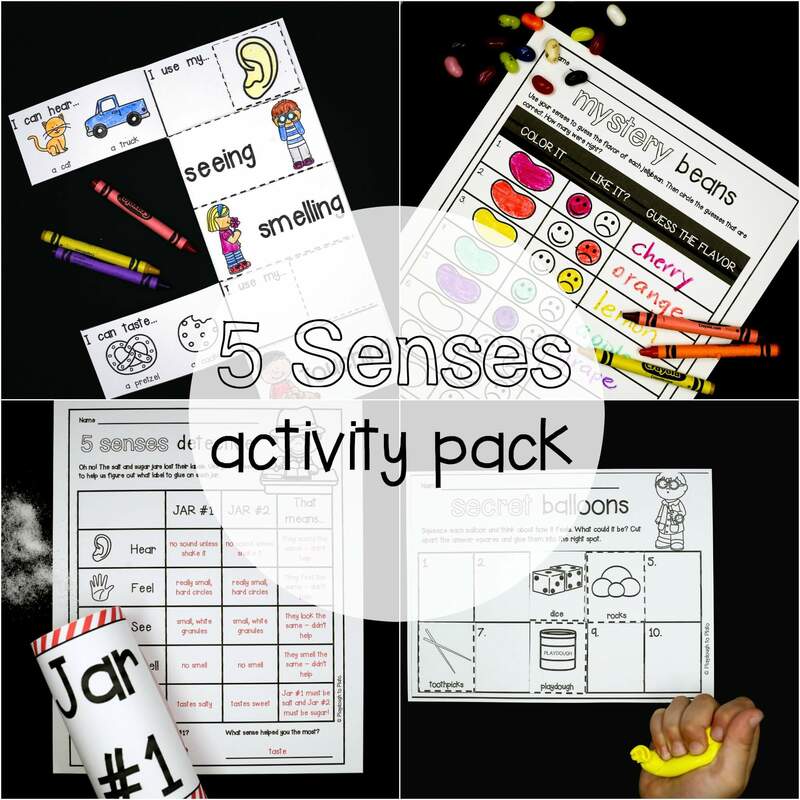 The no prep sheets work on shapes, counting, adding, fine motor skills, number recognition AND number recognition at the same time. To play, kids roll either one or two dice (depending on the version they’re using), and cover the matching number with a pattern block mat. 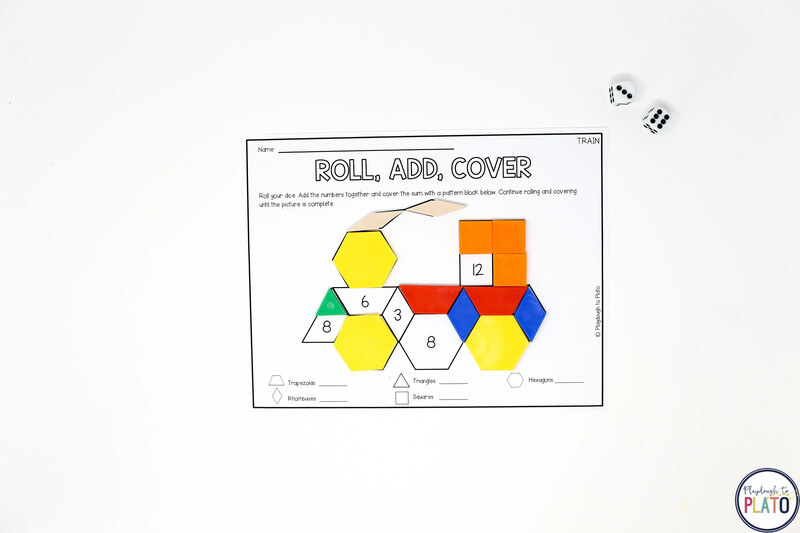 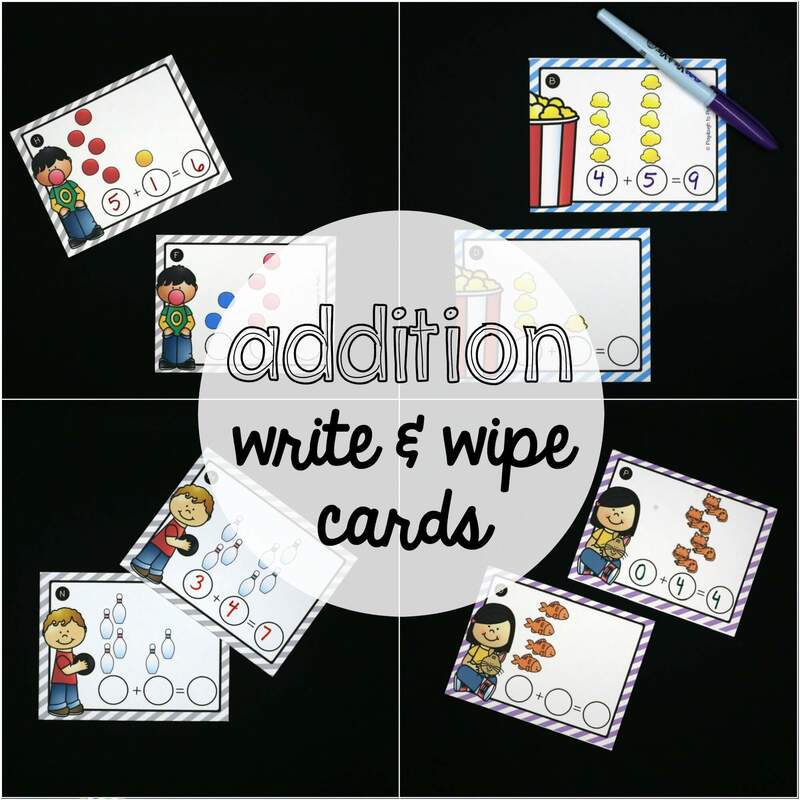 –> PLUS a roll, add and cover page working on adding together two numbers up to 12.